Forage crops include several species of grasses and legumes that are widely used as animal fodder in the form of hay, pasturage and silage, as well as for turf and erosion control. Some forage grasses are also being considered for bio-energy generation. 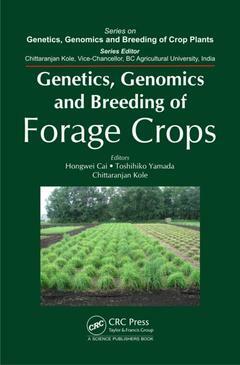 In this book leading researchers review the latest advances in molecular genetics and genomics; they also examine the success of breeding programs for forage grasses and legume species. The book will be useful for students and young researchers with an interest in forage, turf and bio-energy crops improvements.